Two members of Soten Taiko, Amanda Gran and Tanis Sotelo, attended the 2017 North American Taiko Conference in San Diego, California. Amanda and Tanis participated in Taiko workshops from professional Taiko players and teachers, networked with other Taiko players from across the United States, and saw amazing Taiko performances. Amanda had the honor of attending a workshop led by Seiichi Tanaka, the man responsible for brining Taiko to North America. 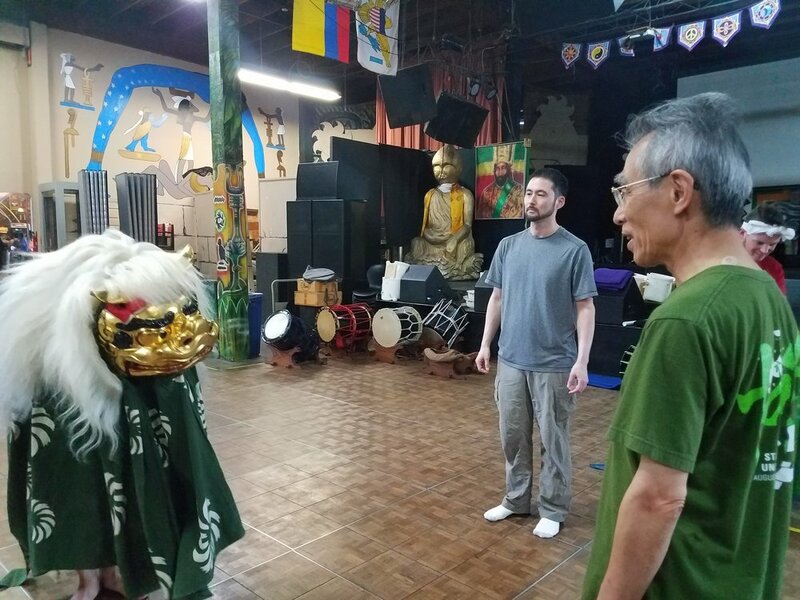 Afterwards, Tanis was able to attend the 3-day intensive Shishimai (Japanese Lion Dance) workshop, led by Kyosuke Suzuki, a master musican and dancer from the Wakayama Performance Troupe, in Tokyo, Japan.